Every year in the Nevada and the United States, contaminated foods and recalled food products are to blame for many illnesses and deaths. Although there have been many technological and medical advances to cure food-borne diseases, countless illnesses continue to be discovered and many continue to suffer from these illnesses. According to the Center for Disease Control (CDC), food-borne diseases cause approximately 76 million illnesses, 325,000 hospitalizations, and 5,000 deaths in the United States each year. Known pathogens account for an estimated 14 million illnesses, 60,000 hospitalizations, and 1,800 deaths. Three pathogens, salmonella, listeria and toxoplasma, are responsible for 1,500 deaths each year. These pathogens result in more than 80% of the deaths from food-borne diseases. Viral: There are several viral diseases related to food-borne illness; i.e. Hepatitis A, which can be transmitted by unsanitary employees who handle and prepare foods. Bacterial: Botulinum (which causes botulism), salmonella, listeria and E. coli are probably the most common bacteria that cause food-borne illnesses. Exposure to food-borne bacteria such as salmonella and E. coli comes from ingestion of undercooked foods such as eggs, poultry, dairy products, and seafood. Parasitic: Toxoplasma and giardia lamblia are two of the most common food-borne parasites. They can be transmitted through unsanitary workers and undercooked foods. In addition to causing death, food-borne illnesses can have long-term effects such as joint pain and infected internal organs (such as liver or intestines). It is important to schedule regular check-ups and talk to your doctor about any changes in your physical condition, including rapid weight loss, flu-like symptoms, fever, loss of appetite, and fatigue. Typically, under our system of law, a person injured by food poisoning has to prove three things in order to make a successful claim. Fault: It should be proven that the food seller or processor did something wrong with regard to food processing, preparation, storage or handling. Causation: It is important that the fault of the seller or processor caused the food to become contaminated and that the contaminated food directly caused the illness. Damages: It should be shown that the harms and losses suffered by the victim are a direct result of consuming the contaminated food. Food poisoning lawsuits are science-based and can be very complex. Often times the actual cause of food poisoning cases can be difficult to prove. Commonly when an individual experiences food that doesn't taste right they throw the food away. It is rare that the potential piece of evidence is kept for testing and examination. Further, most cases of food poisoning go unreported. 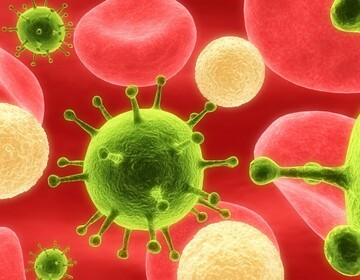 Individual immune systems vary as do the degree and intensity of an individuals symptoms. As such there may not be complaints from other individuals that they had symptoms of stomach pain, vomiting or perfuse diarrhea. It is of utmost importance to have stool samples taken so the same can be sent to pathology and the etiology of the complaints determined to prove your case. Attorneys Benson and Bingham have handled numerous food poisoning cases in Las Vegas and Nevada, with the legal and scientific knowledge necessary to understand and effectively utilize scientific evidence. If you or a loved one has suffered, or are suffering from a food-borne illness, you should seek counsel from a lawyer with experience handling claims involving food-borne illnesses. We have a track record of success, as well as the necessary experience and background to handle your claim involving injury, disease or death from contaminated or recalled food, and we always provide the personal service you seek. The future of you and your loved ones is too important to settle for any less than the best counsel possible. To schedule a free, confidential consultation with one of our experienced Nevada personal injury lawyers, please contact us today.